In the past only cottage industries like gold and silver smitheries, carpentry, oil pressing, tanning and leather working, pottery , weaving and stamping of cloth existed. The Chhimba’s (stampers) in Jind and Safidon stamped coarse country cloth like razais (quilts) toshaks (bed cloth) jajam (floor cloth and chint. Raja Raghbir Singh (1864-1887) of erstwhile Jind State took a keen interest in encouraging local arts and manufacturers. He sent various workmen in gold, silver, wood, etc. to Roorki (UP) and other places to learn the higher branches of their crafts. The mineral wealth of the district is confined to saltpetre, kankar and stone. Crude saltpetre was prepared in many places in the district and was refined in state refineries at Jind and Safidon, which were opened by the ruler of erstwhile princely Jind State. Towards the close of the 19th century or in the beginning of the 20th century, two cotton-ginning factories were opened at Narwana and Jind. The district did not make much headway in the industrial sphere up to the Independence or rather up to the formation of Haryana. Before 1966, there were only 3 important units for the manufacture of cycles, clinical laboratory thermometers and water pipefitting. 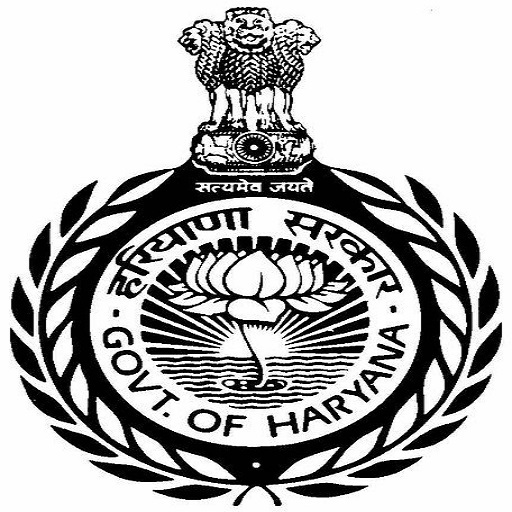 With the emergence of Haryana as a separate State in 1966, began the real process of industrialization in the district. Several small-scale industrial units for the manufacture of radio and electrical good, fabrication of cement jallis, soap and candles etc. were set up in urban areas. Some more important units manufacturing agricultural implements, chemicals, thermometers, surgical cotton, foundries, screws, plastic products, paper-board, coke briquettes, etc. were established after 1968. The first large-scale industrial unit was the Milk Plant at Jind, which came into existence in 1970. Another unit for the manufacture of steel products was set up in 1973. Industry in the district received a further fillip with the establishment of a cattle feed plant in 1974. Some more important units engaged in manufacturing of items such as surgical cotton, bio-coal, rice mills, handloom & weaving tractor bushes, water taps, bread, biscuits, wooden & steel furniture, cotton yarn, medicines, leather chemicals, PVC Pipes, washing powder & soap, tin container, railway components i.e. rail elastic clips, oil refinery, vanspati ghee, sprinklers leather shoes, electric madhani, ceiling fans, cooler & general rep., foundries, tyre resole-retreading, plastic dhana, hand made papers, cattle feed & poultry feed, gypsum board, disposal syringes & needles, printing paper, flour mils & LPG storage & bottling have also come into existance. Milk Plant, Jind was the first modern dairy plant set up in public sector by Haryana Dairy Development Corporation in 1971 with the objective to provide market for surplus milk in the state. Haryana is rich in milk production and surplus milk in the state can play vital role in improving socio-economic conditions of farmers in general and that of landless farmers in particular. As an outcome of pursuance of its objective, it has also made pure, safe & wholesome milk products available to the urban consumer at reasonable rate while at the same time ensuring attractive price of milk to farmers. Spread over 18 acres of land in Jind district, the plant with a capacity to process one Lac liter of milk per day manufactures VITA milk products. Collection of milk from districts of Jind, Hisar and Fatehabad is done through network of Cooperative societies in villages from where fresh milk is transported to the plant every morning and evening. This milk is converted into premium quality milk powder, ghee, paneer and polypack milk for sale in Delhi and other areas. Presently the plant is being managed by milk union, Jind which is member of Haryana Dairy Development Co-operative Federation Ltd. and has membership of 600 village Co-operative Societies. More than 20000 families largely consisting of farmers having small land and holdings are the beneficiaries of its operations. Its existence and active intervention has ensured attractive return to the milk producers and facilities like supply of cattle feed and seed etc. To meet the demand of milk in Jind city as a result of rapid urbanization, the plant has started supply of polyback milk in Jind. With the help of local administration process of setting up milk booths in different localities has been initiated. This will ensure availability of unadulterated and wholesome milk and milk products to the consumers at reasonable price. The mills provide interest free loan for seed of sugarcane. 25% Subsidy is provided for seed and land treatment. Three hot air units have been established in the mill for free seed treatment. The mill has 23,159 acar land under Sugarcane for the year 2000-2001. The mill have a loss of Rs. 484.94 Lacs in the year 1999-2000 due to less recovery of Sugar and increase of Sugarcane rate. About 1000 people have been given employment by the mill. The mill achieved third position in the Country in the year 1991-92. It achieved first position of technical skill in the year 1992-93, 1993-94 and 1995-96 and second position in the year1997-98.